To abandon the architectural discussion momentarily, Joe's hot dogs are easily the best in Durham, beating out very good entrants such as Dain's and Dos Perros. If I worked in Durham and didn't have to worry about high cholesterol, I would eat there a whole lot more. 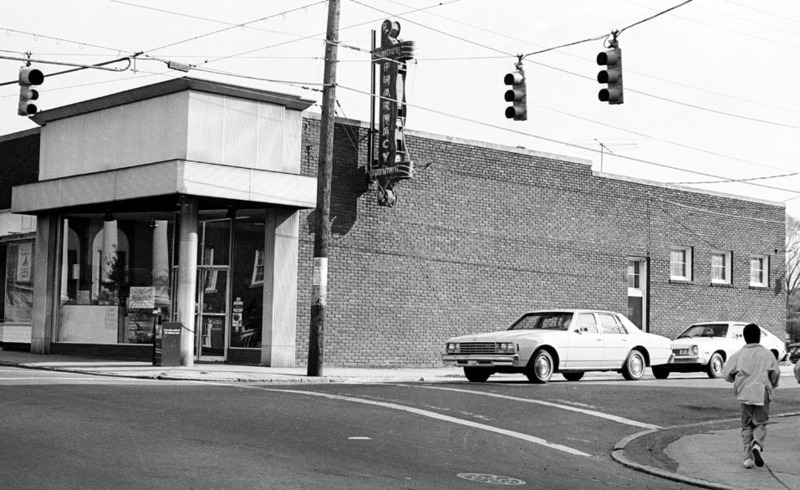 Anyone remember that Sullivans and Crabtrees drugstores would alternate opening on Sundays. Angier Avenue Baptist parishioners filled the stores - and we did have vanilla (and lemon) cokes! I worked at Miller and Norburn on Pettigrew St during the summer of 1989 and must have had a hundred orangeades at Crabtree Pharmacy. I had a Joe's hot dog at the State Fair two years ago and was happy to hear that that property had been brought back to life. One of the earliest businesses established in the Angier-Driver business district of East Durham, Crabtree Pharmacy, was started in 1904 by R.A. Crabtree, C.A. Crabtree, H.C. Barbee, and Viola Young. 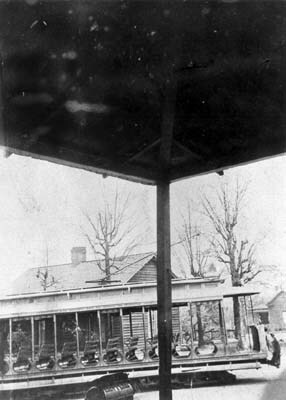 The original building was a frame structure on the southeast corner of Angier Avenue and South Driver with a wood awning extending out over the sidewalk. Looking northwest from the building at the streetcar making the left turn from Angier onto Driver, 1910s. In 1910, James (Robert) King, who had grown up in Durham and worked at the Durham Cotton Manufacturing Company and Golden Belt before attending pharmacy school at "Page's School of Pharmacy" in Greensboro. 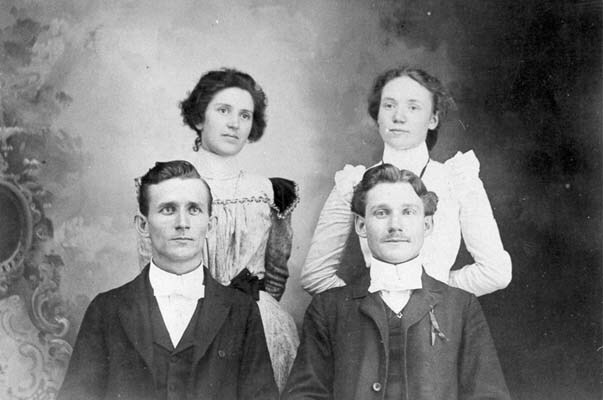 He joined Crabtree in 1910. In 1921, he purchased an interest in the business, and later became the sole owner. Sometime between 1913 and the late 1920s, (the historic inventory states 1925) the original frame building was replaced by the current structure. In 1946, James King's son Alfred H. King purchased half the business, and in 1948 his son James King, Jr. purchased the remaining half. In 1951, the pharmacy was described as "one of the old-line drugstores.... a modern store, rendering a complete pharmaceutical service, with fountain, drugs, and sundries, as well as other items handled by the modern drugstore." It was particularly known for its "milkshakes and orangeades." Looking south, 05.28.63 with Crabtree Pharmacy on the right. ""We had two [drugstores]. That was our entertainment," he said with a straight face. "We'd take our date to Crabtree Pharmacy or Carswell Drug Store and buy a Coke or cherry ice. They had milk shakes and banana splits. Sometimes we'd get a pack of Dubs crackers. You don't see them anymore. 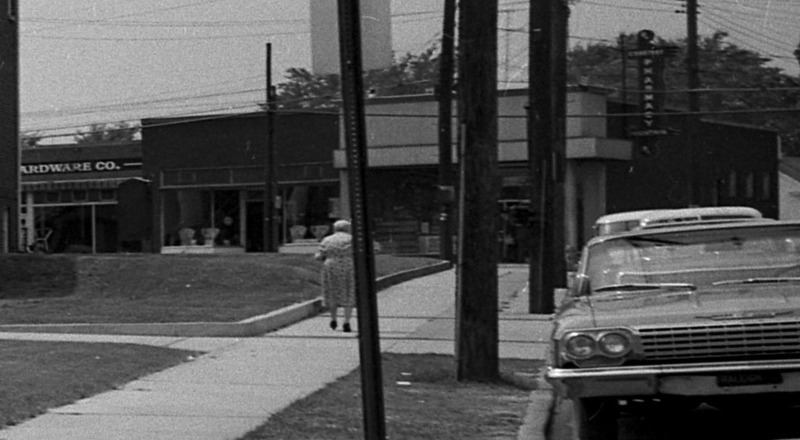 When we didn't have a date, we'd hang around the drugstore anyway, sometimes the Baptist church. We'd sit on the concrete wall and sing together." At some point in the 1950s, a metal facade was placed on the exterior. Whit Haney, a Florida native, bought Crabtree Pharmacy in 1989. He was still operating it in 1994, but I can't find any reference as to when it closed down. After a decade+ of abandonment, Joe Bushfan, who had made the unlikely transition from security-to-the-stars to Angier-Avenue-hot-dog-vendor-that-nobody-was-gonna-mess-with executed a vision, along with Dan Hill and other supporters, to revitalize this corner. Reaping the benefit of the work that Preservation Durham did a decade ago to get East Durham on the National Register of Historic Places, Bushfan and backers took advantage of historic tax credits as well as city grant funding to help finance the project. The result spans 2100-2104 Angier Avenue; the former Pharmacy is the crown jewel. As Joe's Diner, it serves a variety of diner-typical food and moderate-to-immense hot dogs. The interior reflects the finishes of the old pharmacy - tile floors, old cabinets, pressed tin ceiling, etc. It's an incredibly important renovation. That being said, I can't ignore the fact that I can't stand the metal facade elements added to the building and wish they'd been removed - I know sometimes NPS / the State Historic Preservation Office get goofy about preserving 'evolution' of a property; I get it, from a historical perspective. But insensitive/incompatible design elements are just that. To be clear, I don't know whose choice/decision it was to retain this vs. going back to the original 1920s facade. And yes, much less important than just seeing the building revitalized.